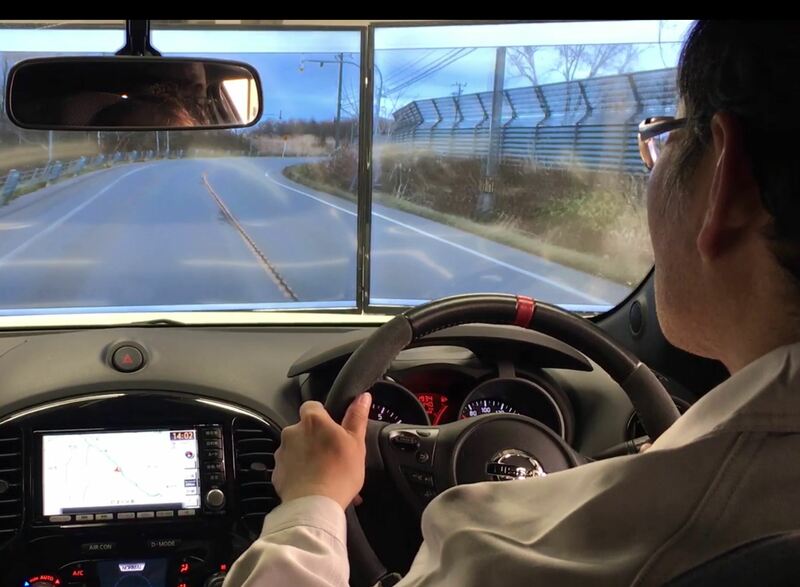 In partnership with Iwane, TOYO developed the Real Video Drive Player (RVDP), a powerful and unique driving simulator. It is one of the few professional simulators that incorporates and uses actual road videos (that you pre-record ahead of time) providing a simulation experience that comes very close to actually driving on a real road except it all takes place inside a lab. The RVDP has many important capabilities. One key feature is the roving viewpoint. You only need to record a video just once but it is possible to simulate lane changes, turns, height positions and seat positions and have those changes automatically adjusted for. Up to 360 degrees of simulation environment is available on demand. The RVDP helps reduce the cost and delays associated with automobile development.